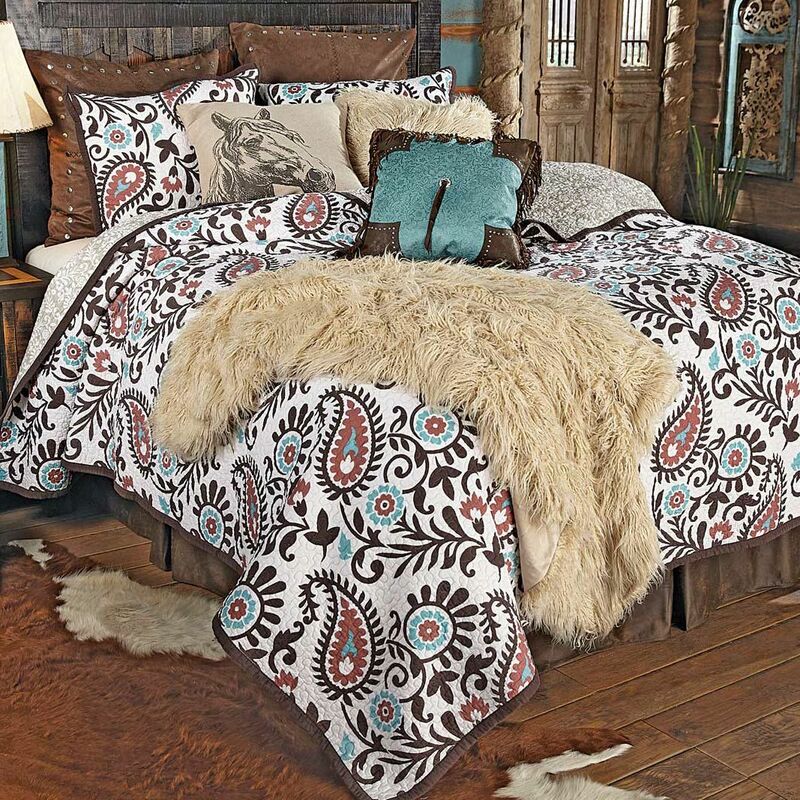 A Black Forest Décor Exclusive - Create a new look in your western room with this cotton bed set in a bold paisley print with a coordinating reverse. Sets include quilt and two shams. Machine wash. Quilt: 92"W x 96"L; Shams: 21"W x 27"L Allow 1 to 2 weeks.